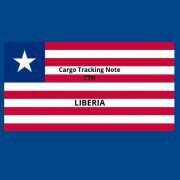 As of this year, a Cargo Tracking Note is required for all cargo shipped to and via Monrovia in Liberia. The CTN document must be made out in the port of loading. The shipper is responsible and must ensure that the CTN number is mentioned correctly on the Bill of Lading. Shipments without a valid CTN number cannot be customs cleared in Liberia and fines may apply.